Auto Door Lock Actuator_auto parts electric door lock _Salient (Wenzhou) Automotive Door System Co., Ltd.
Wenzhou Salient Automotive Door System Co., Ltd.
Salient (Wenzhou) Automotive Door System Co.,Ltd. (Ruian Xinghua Automobile and Motor Vehicle Co.,Ltd.) specialize in the production of centrally controlled locking system and Auto Door Lock Actuator, Tailgate Latch, Hood lock. 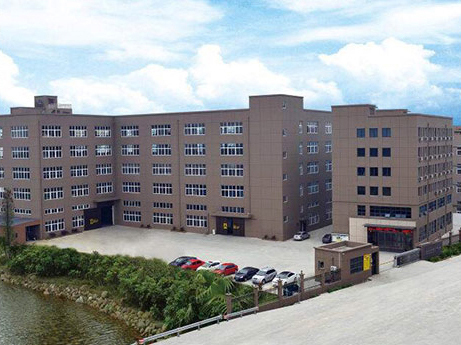 An experienced Research and Development team and modern production facilities are among our companies' abundant strengths.We have excellent technological knowledge,and modern state of the art facilities,which include production areas for collection compression casting,injection molding,ramming machine-finishing and the electronic circuit research and development in a body. We have put in place reliable safeguards for the production quality assurance to maintain our high standards. In addition, we successfully cooperate with domestic and international companies since 1996 and constantly receive high praise from those companies.Our mission is to bring a fresh wind to the industry and to the world. We offer solutions to our clients for the entire production process, including product design,production,final QA of the finished product,marketing,and after sale service and consider the satisfaction of our customers as our highest success.We are dedicated to establish a long-term economic trade relationship with international companies.We sincerely hope to work together with a vast number of clients in order to create brilliant products and believe that our efforts will be all of your return. 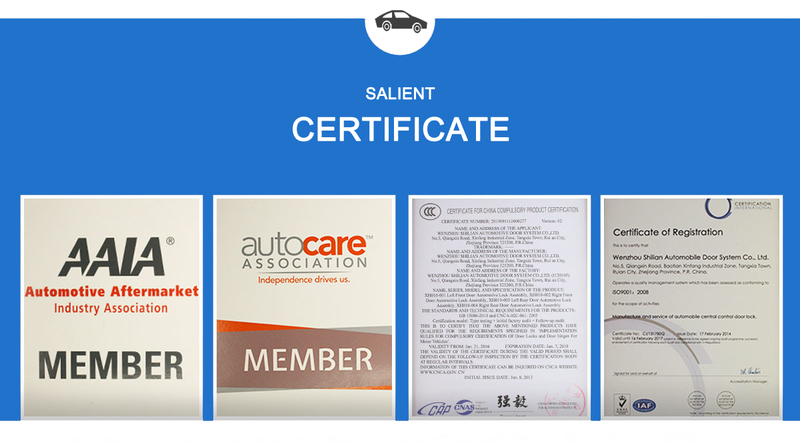 Wenzhou Salient Automotive Door System Co.,Ltd. specialize in the production of centrally controlled locking system and Auto Door Lock Actuator, Tailgate Latch, Hood lock.